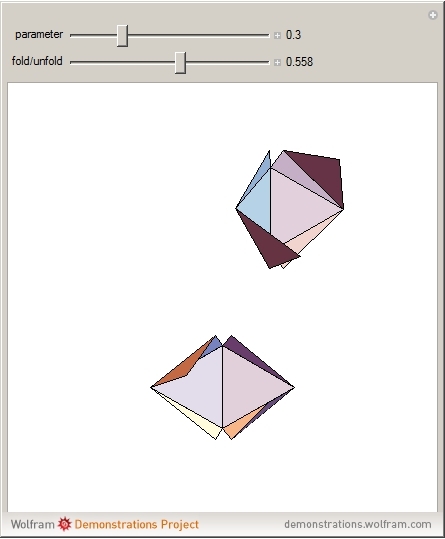 This Demonstration shows two convex polyhedra, with a variable parameter, that unfold to the same net. I. Hafner and T. Zitko. 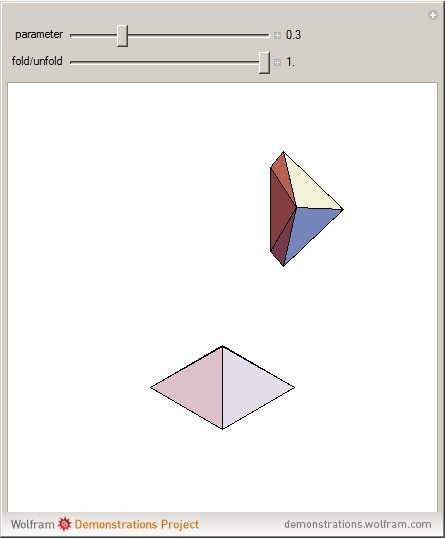 "Two Convex Polyhedra with a Common Net," Visual Mathematics, 4(3), 2002. (Jan 21, 2019) members.tripod.com/vismath8/hafner5/Twopoly2Visual.html. 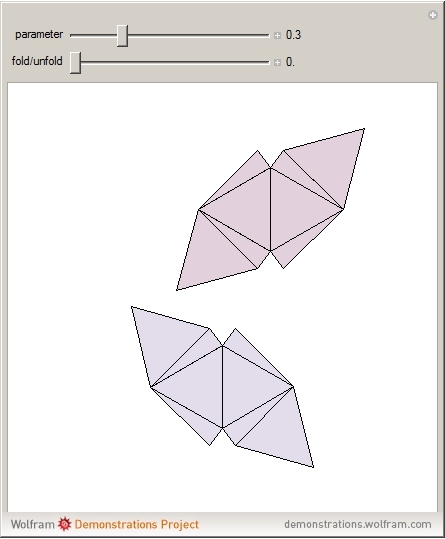 "Two Convex Polyhedra Unfolding to the Same Net"